As you drive down 41st Street in sunny Capitola, you will probably notice one of these three things: palm-tree lined streets, locals either riding their bikes or skateboards and a line wrapped around the original Verve Coffee shop. 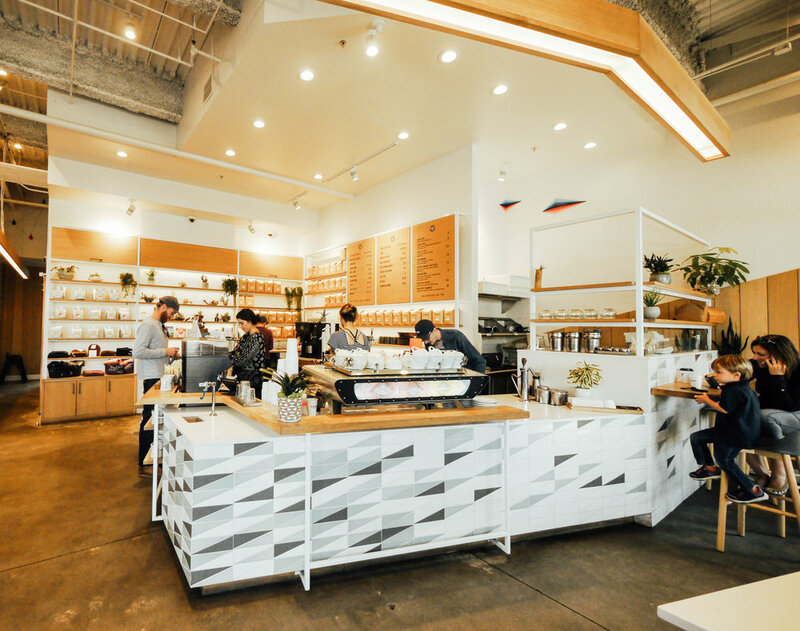 Verve Coffee Roasters is located in various locations around Santa Cruz, San Francisco, Los Angeles, Japan and now Palo Alto. With a wide selection of coffee beans and aesthetically appealing shops to go around, Verve is one of the top coffee roasters in the nation. Their Instagram account boasts over 132k followers that include dedicated coffee snobs and Instagram models alike. Whether you are a coffee lover or not, you have probably heard of Verve or stepped inside one of their many locations. The one I went to yesterday is one of their original spots and is located in the small surf town of Capitola. The shop itself is roomy and bright and welcomes guests in with chilled out surf rock playing overhead and friendly staff members that can help you in your caffeinated decisions. Even though this shop is not as big as their Pacific Avenue location, which tends to be one of their most Instagrammed shops, the 41st Avenue store still holds a certain charm that simultaneously oozes coolness and relaxed vibes. Being the coffee snob I am, I pondered over their extensive menu of coffee, latte and alternative drink choices and chose to go the one on one route. The one on one, as the friendly barista was telling me, is one of Verve's most popular drink options because it gives the consumer a taste of regular shot of espresso and a shot of espresso with steamed milk on top. This gives the customer a chance to not only see how the espresso tastes by itself, but also how it pairs with milk. The one on one that I sampled was made with their limited seasonal blend called Mersha Mersha. The espresso was tart and juicy, almost like a red cherry. It went down smoothly and tasted phenomenal when paired with steamed milk. I am usually not one to drink espresso straight up, but an exception was made when I drank the first sips of the Mersha Mersha. Verve, like many other coffee roasters in the nation, work together with the farmers that supply them with their coffee. Even though Verve may seem a bit more popular on the social scale than some smaller roasters, they still are true to themselves and where they come from and also stick to ethical way of buying coffee beans. If you are ever in Santa Cruz, LA or even Japan, I would highly recommend Verve not just for the aesthetic appeal, but for the great coffee and the wonderful people that work there.